Directly observed therapy (DOT) has become a crucial asset in caring for deadly, infectious diseases such as tuberculosis (TB). In fact, many US public health departments have made DOT a required practice for physicians and patients with TB. Such is the case in Harris County, TX. According to the US Center for Disease Control and Prevention (CDC), the Texas Department of State Health Services (DSHS) uses public funding for TB surveillance, prevention, and control methods within 8 health service regions, 31 local health departments, and 4 binational TB projects. When Hurricane Harvey passed through Dallas and Harris County at-large in late August, the Category 4 major hurricane forced week-long closures of several local health departments and displaced patients from their physicians. According to a CDC Morbidity and Mortality Report, representatives from Texas reported a nearly perfect patient treatment adherence rate for TB medication in the Harris County region in that span of time — a rare feat regardless of weather conditions. Baltimore, MD-based health technology company emocha Mobile Health provides video DOT technology that remotely allows physicians to check off on patients’ treatment adherence. One such program in Harris County had enrolled 61 patients with TB prior to the hurricane’s landfall. Among that population, 59 (97%) were properly located and monitored, and not one of them missed any medication doses. Sebastian Seiguer, chief executive officer of emocha, told MD Magazine that each patient was prescribed about a months’ worth of TB therapy prior to the hurricane. No doses were missed by the 59 located patients. The emocha patient population were among 282 high-priority TB patients tracked by local and state officials during the hurricane. At the time, 30 had been diagnosed with TB, and 31 had latent TB infection. The telehealth-based response to public health agencies affected by the storm came from lessons learned in previous hurricanes, according to the CDC’s report. “Whereas approximately half of the TB patients in New Orleans, Louisiana, fled the state during Hurricane Katrina, TB patients in Texas during Hurricane Harvey typically remained close to their usual residence,” the report read. Seiguer called Harris County public health system “pioneers in the system” of emocha, having used the service for over 3 years now. 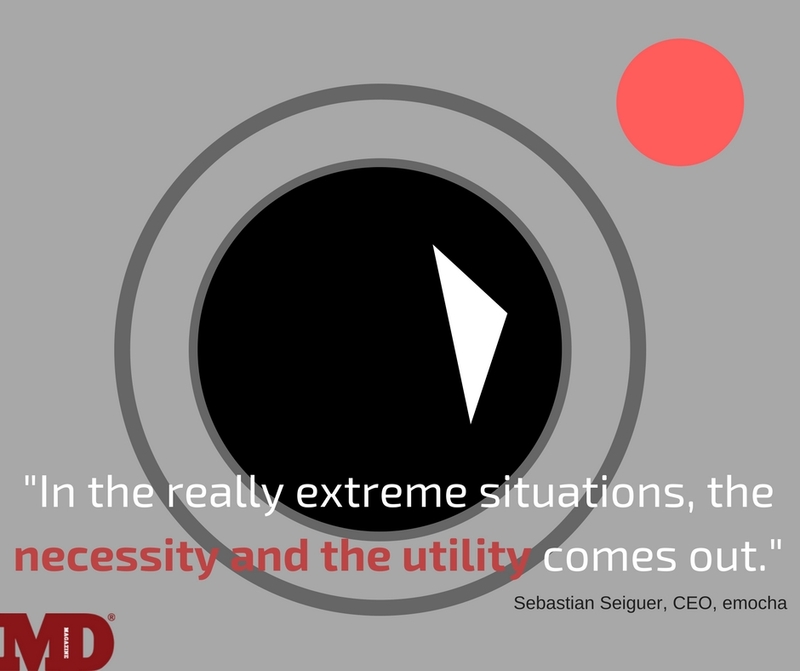 Though telehealth is often susceptible to more praise in the case of emergency situations, Seiguer credited Texas agencies for their preparedness. Emocha’s asynchronous video DOT service has obvious benefits for patients with infectious disease: the remote surveillance of physicians ensures patients’ family members or loved ones do not have to aid or oversee treatment administration, and cause risks for either party. Though its advantages are doubly in the wake of weather emergencies, Seiguer imagines the technology can bolster even an asthma patient’s treatment adherence on a sunny day. Aside from aiding in the wake of Hurricane Harvey, the emocha system has been used in ensuring remote DOT for patients undergoing opioid addiction therapy, and for gauging patients susceptible to the Ebola virus after visiting Africa during the 2014-15 outbreak, Seiguer said. But he believes it could serve a larger purpose, noting that the US health care system spends about $400 billion annually on medicine, despite nonadherence issues. “It saves a lot of time and resources for everyone involved,” Seiguer said.